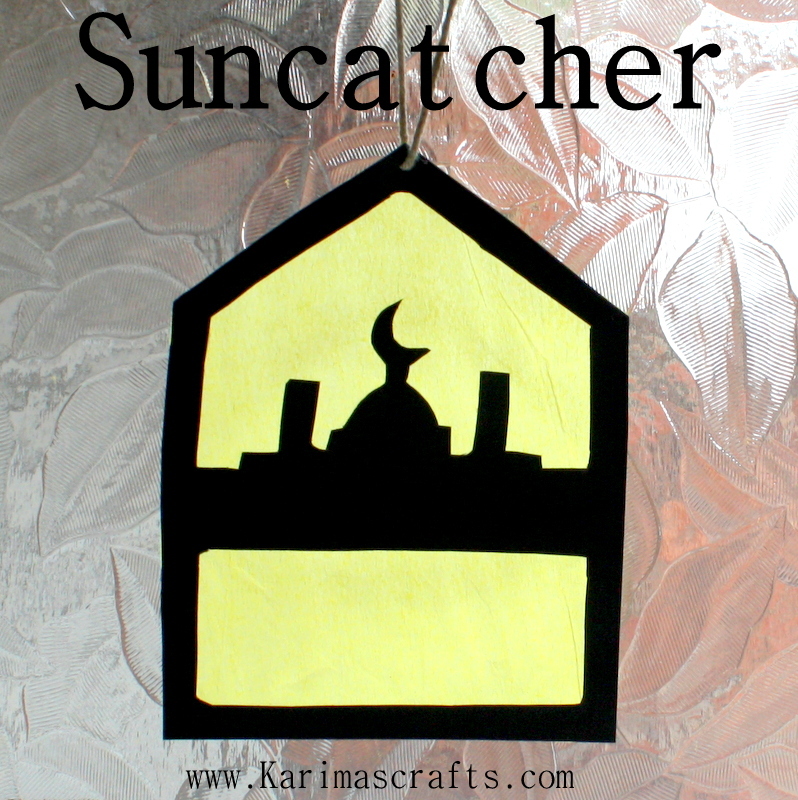 Assalamualaikum, my name Is Karima from Karima’s Crafts, I am guest blogger for the day and I thought what better to share here than a new craft with an Islamic Ramadan theme. 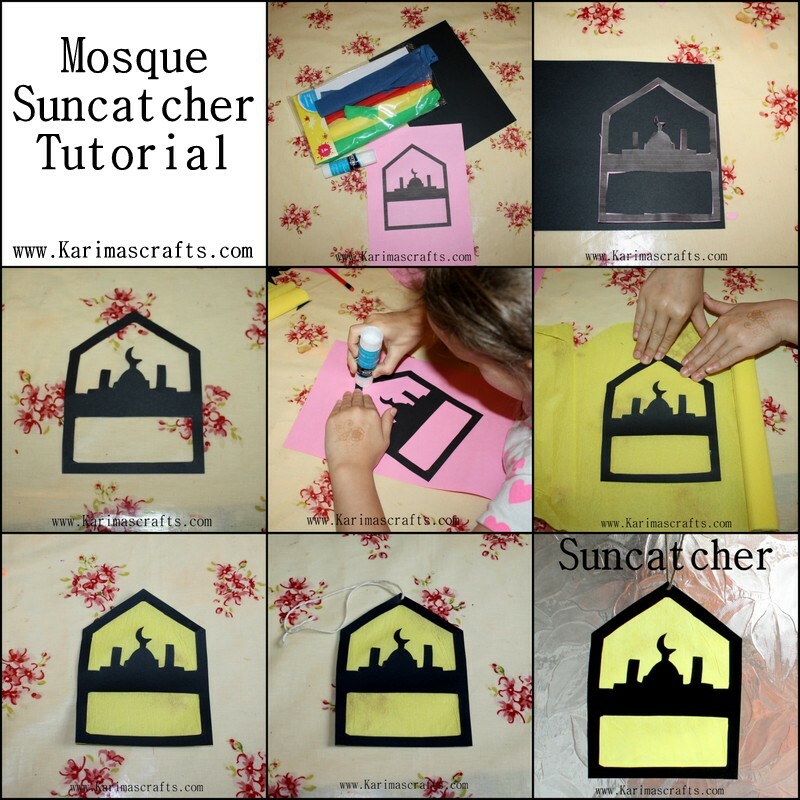 My young daughter wanted to do a Ramadan craft this year, but one we haven’t done before. So we decided on a suncatcher. I designed a template using an online program to make it easier, you can of course make your own design or use the same template. 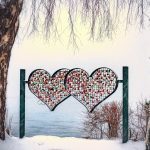 Young children will love doing this craft. A grown up might have to help a bit with cutting out the templates. 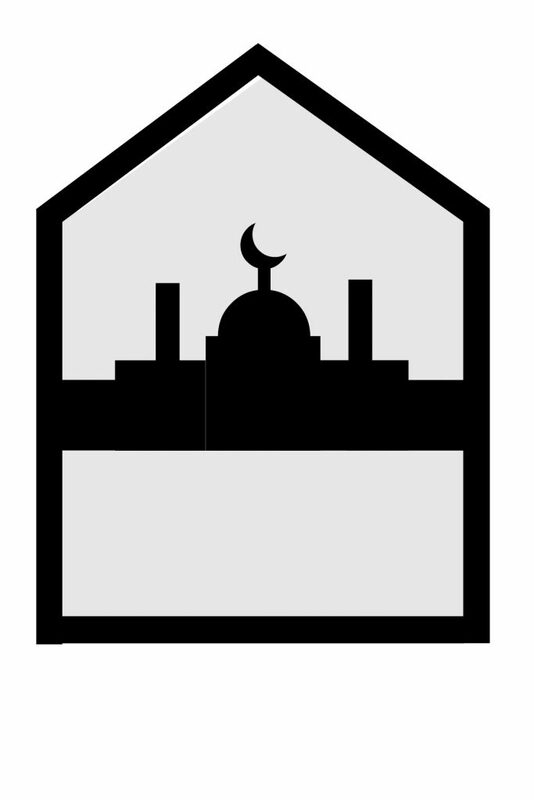 Step 1) Get a template or draw one, can be any shape or design. (I have included a photo on this tutorial, you can just enlarge it. Step 2) Print out the template on normal paper if downloading or draw your own on normal paper. Step 3) Using the template, place onto the black card and draw the design onto the card, we used a pencil. Step 4) Using a glue stick, glue the back of the black cut out card template. Step 5) Place the card down, glue side first onto some tissue paper/crepe paper. Press firmly. Step 6) Cut around the card template and paper. Step 7) Make a small hole at the top of the template and attach some string to it. Step 8) Hang up on your window. Homeschooling mama, crafter and blogger.